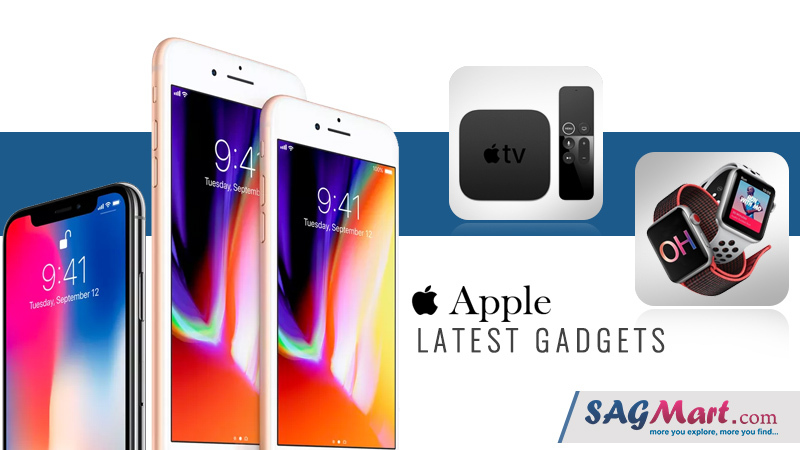 In an official launch event held on September 12, 2017, Apple has unveiled a range of new products, including the much-awaited iPhone 8, iPhone 8 Plus, iPhone X, Apple TV 4k and Apple Watch 3 with LTE feature. The most amazing of all is the $1,200 iPhone X which points toward a completely new generation of flagship phones. It features edge-to-edge all-glass display, wireless charging, and face detection functionalities that justify the price tag given to it. The company has finally revealed the latest iPhone 8 and iPhone 8 Plus in its series of premium phones. 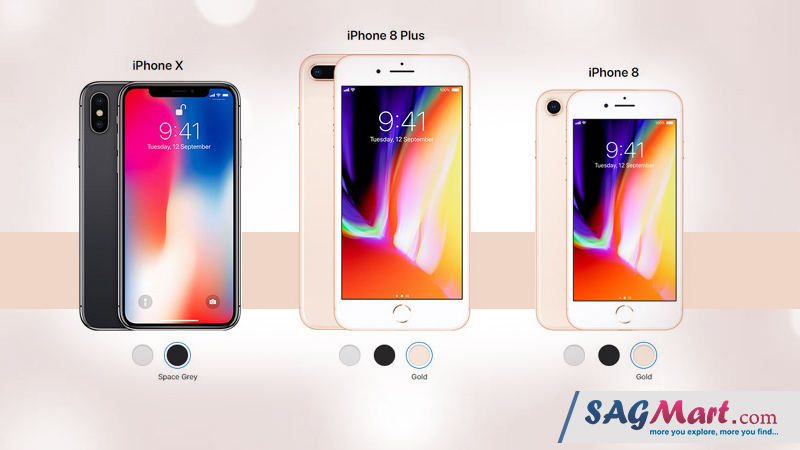 Check out the features, price and availability details of the new iPhones below. During the latest launch event, Apple has also revealed the third Apple Watch in the series of its smartwatches. 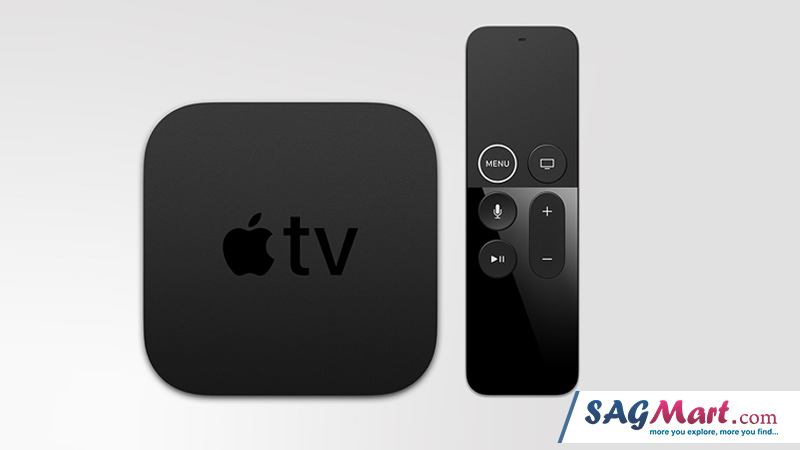 The company has also introduced a 4K Apple TV. Take a look at the features and prices below. The launch event was more or less a success, except for a few glitches that could have been avoided. The company had to suffer from embarrassment when the demo Face ID failed to function at the launch event but it did not affect the companys popularity anyhow. As expected earlier, the new iPhone 8 and 8 Plus are bigger and better than their predecessors and come with advanced features like wireless charging and all-glass display. The unavailability of the Home button in iPhone X instantly became a topic of gossip on the internet and saw interesting reactions from the users. Lets dive into details of these newly launched devices. All the new launched iPhones including iPhone 8, 8 Plus and iPhone X feature an all-glass display. The iPhone X has a 5.8 inch OLED touchscreen super retina display with 2436 x 1125 pixel resolution that covers the entire front of the phone, so there is no home button on this iPhone. The traditional Touch ID fingerprint sensor has been replaced with a facial recognition software called Face ID that will authenticate the user before unlocking the phone, Apple Pay, and other services within the device. The iPhone 8 has a 4.7-inch screen (1334 x 750-pixel resolution) while iPhone 8 Plus comes with a 5.5-inch display (with 1920 x 1080 pixel resolution). Both phones have Retina HD Multi-touch display with True Tone feature and IPS technology. Other display features include display zoom, 3D touch, reachability, fingerprint resistant coating, wide color display, etc. The iPhone X comes with 12MP dual rear cameras with quad-LED True Tone flash, dual IOS and optical image stabilization (for clear pics in darker conditions). The rear camera supports Apples Portrait mode and the Portrait Lighting (to change the lighting of a subjects face while taking the picture) features. The front camera of the phone has a 7MP sensor along with six other sensors. It also has other camera features like portrait mode and Animoji. The front camera of the iPhone X is capable of taking blurred background shots. The iPhone 8 Plus also has a dual back camera setup featuring two 12MP sensors, the primary RGB sensor with f/1.8 aperture and the secondary telephoto sensor with f/2.8 aperture and up to 10x optical zoom. The phone camera is capable of shooting 4K videos and HD videos. It also supports portrait mode and portrait lighting. It has the similar 7MP front camera for selfies and with f/2.2 aperture and HD recording capability. The iPhone 8 will have a single 12MP rear camera with up to 5x digital zoom which is capable of shooting HD (1080p) videos but has no portrait mode. It will also have the same 7MP front selfie-shooter. The design of the new iPhones is almost same as their predecessors, except for the all metal (aluminum) and glass bodies (front and back). The iPhone 8 and 8 Plus will be available in three color variants – Silver, Gold Finish, and Space Gray. The phones have been designed to resist water and dust. The new and even more powerful stereo speakers have been attached to all the phones for louder and clearer sound. The iPhone 8 variants will continue to have the Touch ID fingerprint feature into the Home button. The iPhone X, as seen in the image, has a full front screen with a small bump cut at the top for camera and sensors. There is no home button on the phone, and the display can be turned on simply by tapping on it. The phone is built with stainless steel frame. There is a dedicated Siri button on one side of the phone. The Face ID feature of the phone will be activated by the sensors and camera given at the front top and is powered by the bionic neural engine. The iPhone 8, iPhone X and iPhone 8 Plus will have the new A11 Bionic six-core processor with four high-efficiency cores and two performance cores. The phones will also feature the latest iOS 11 operating system. The GPU of the phones is about 30 percent more powerful than the predecessor. The new iPhones will be available only in two storage variants of 64GB and 256GB with non-expandable memory. Both the iPhone 8 and 8 Plus support Qi wireless charging. Both phones have a built-in lithium-ion battery. The battery of the iPhone 8 is capable of providing up to 14 hours of talk time (wireless), up to 12 hours of internet use and up to 50% fast charging. The iPhone 8 Plus battery will stand around 21 hours of talk time and up to 13 hours of internet use and is also capable of fast charging. The iPhone X battery has wireless and fast charging capabilities. The phone battery is claimed to be capable of lasting 2 hours more than that of iPhone 7, iPhone 8, and 8 Plus. Sensors in new smartphones by Apple include Touch ID fingerprint sensor, Accelerometer, Three-axis gyroscope, Proximity sensor, Digital compass, Barometer and Ambient light sensor. Both iPhone 8 models as well as iPhone X have the Augmented Reality (AR) feature. They will also support the new spatial audio feature to automatically increase the volume as the users get closer to their phones. Wireless charging is supported by all the three iPhones. Other features include fast-charge cable, touch ID, water resistance, dust resistance, 3D touch, Apply Pay, FaceTime audio/video calling, VoLTE, Wi-Fi calling etc. The iPhone X (Pronounced 10) has been priced at $999 (Rs.89,000 in India) for the 64GB version and $1,149 (Rs.102,000 in India) for the 256GB model. The phone will go on pre-order in India on October 27, same day as it will go on pre-order in 55 other countries also. The sale of smartphone iPhone X will start from November 3. Both iPhone 8 variants will be available in two storage options of 64GB and 128GB. Whereas the price of the iPhone 8 64GB version is $699 (Rs. 64,000), the 256GB model will cost $849 (Rs. 77,000). The iPhone 8 Plus 64GB variant will be sold at $799 (Rs. 73,000) and the 256GB will cost $949 (Rs. 86,000). Both the phones will go on sale in India from September 29 and the pre-ordering will begin from September 15. But in the US and some other countries, both iPhone’s will go on sale on September 22 and pre-orders for the same will start on September 15. Apple Watch 3 is the third in the series of smartwatches by Apple. It comes with LTE support so the users will no longer need to stay paired with iPhone to stay connected. They will still receive notifications, messages and calls even if they are nowhere near their phones. The device also has the famous personal assistant app, Siri, to support automated communication. It also supports AirPods and is even available without cellular data. It will also have the latest watchOS 4 system and the wireless charging feature. Other features of the Apple Watch 3 are all-day battery life, GPS, W2 wireless chip, faster dual-core processor, water-resistant design, and barometric altimeter. 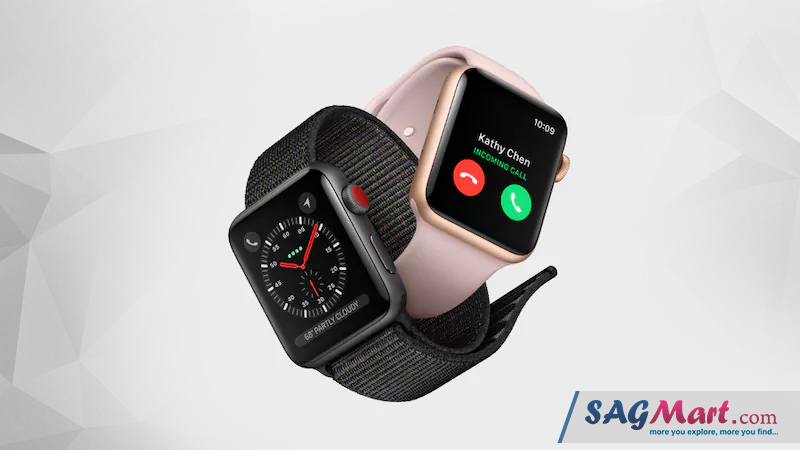 The new Apple Watch has been priced at $399 and will go on sale from September 22, while the latest watchOS 4 will become available to existing Apple Watch users from September 19. The fifth device that was introduced in this launch event is the Apple TV with 4K, HDR 10 and many other new features. The new Apple TV is powered by the iPad Pro’s A10X processor and is capable of playing 4K videos as well as the HD ones. It provides live connectivity to popular streaming platforms like Netflix, Amazon Prime Video and more. The price of the Apple TV 4K will be $179 for the 32GB variant and $199 for the 64GB version.